Color Island is a fun and simple escape from your day or something to keep your kids busy on a long road trip. 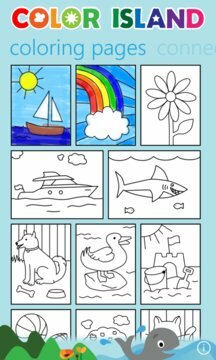 This app features coloring, connect the dots, and color by number pages with varying levels of detail making it entertaining for adults and children alike. 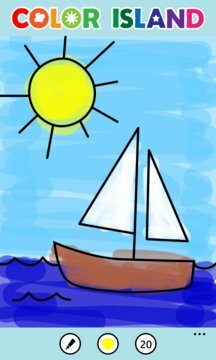 Use your fingertip just like a crayon to make smooth lines on the screen or use the fill tool to quickly tap out the colors. With plenty of colors to choose from and multiple brush sizes, those fingers are sure to keep busy!